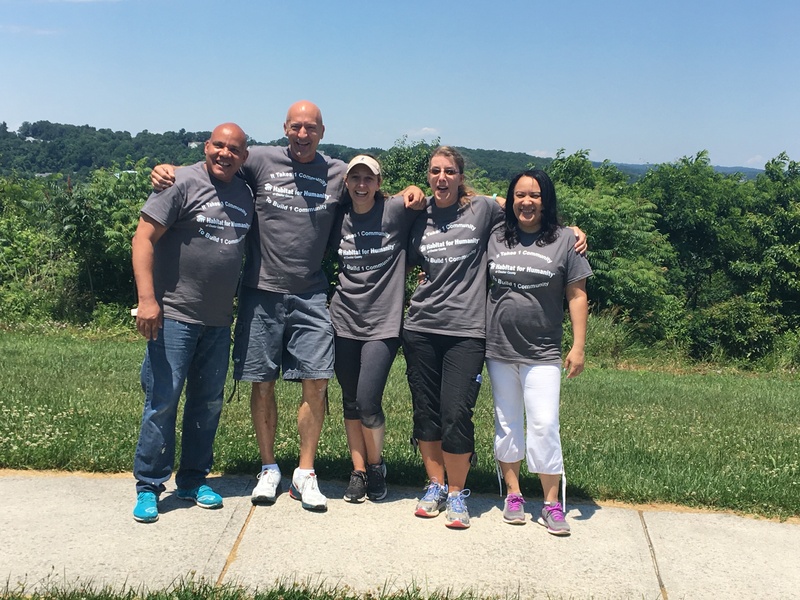 This June, staff members from Wellington at Hershey’s Mill and their partner, Caring Hospice, volunteered for two days at Habitat for Humanity as part of their first community Volunteer Initiative. 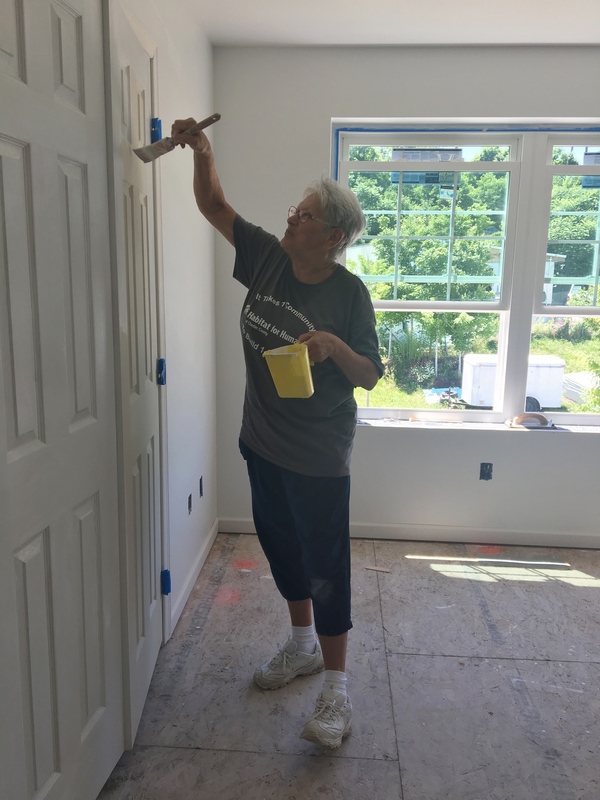 These volunteer days were part of a larger effort to encourage a giving heart and spirit of service in Wellington staff and residents. 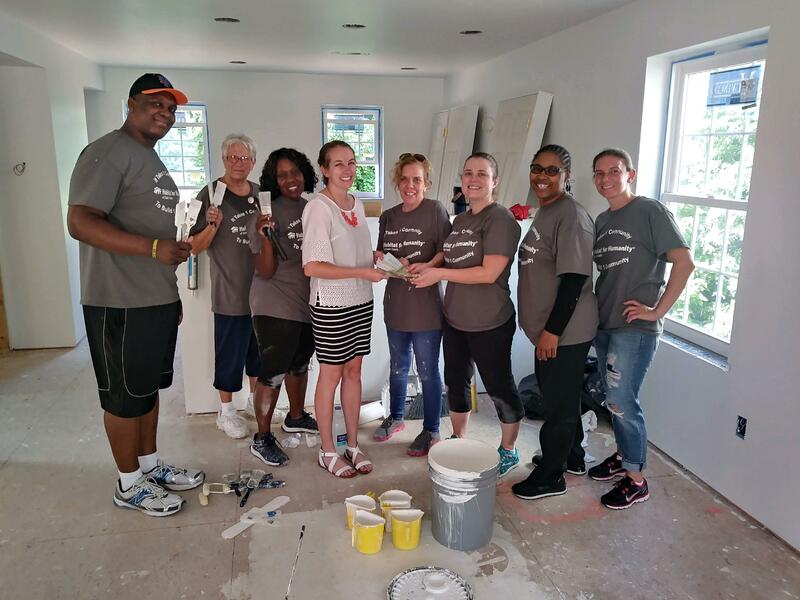 Though the weather was too hot to bring residents, they participated back at Wellington by assisting in fundraising events and making gifts for incoming Habitat homeowners. In just three months, they held dress down days, bake sales, raffles, and sold t-shirt sponsorships to raise over $1,300 for Habitat’s mission. 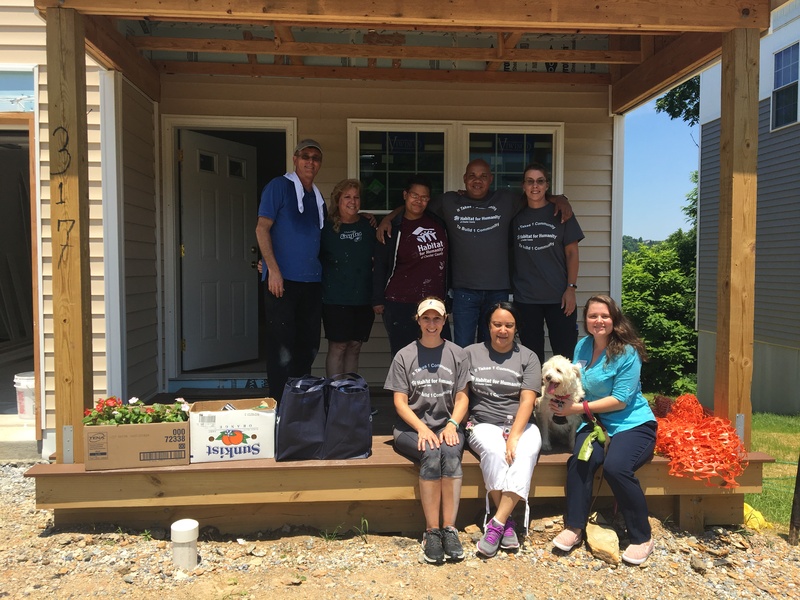 Habitat was chosen for this partnership as a result of the efforts of Wellington employee, Sabrina Codella, who has been a Habitat homeowner herself in New Jersey since 2008. 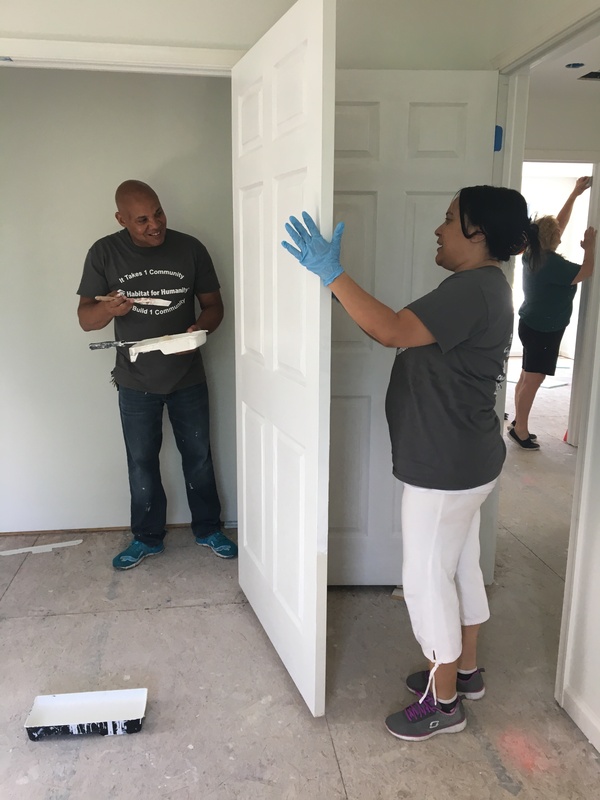 Since spending nearly 400 hours of sweat equity building her home, Sabrina went back to school, became a RN, and is now the Director of Resident Care at Wellington Court. 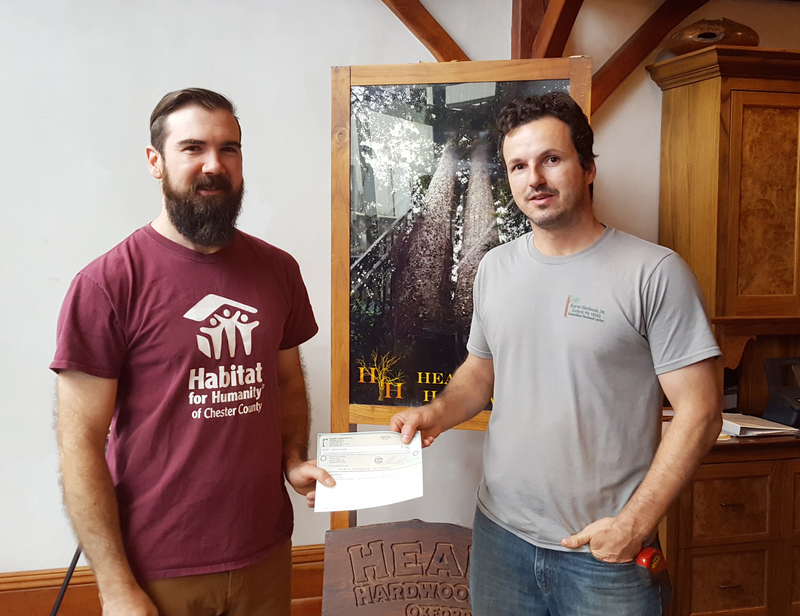 We look forward to partnering with Wellington in the future and were grateful to be a part of their first community Volunteer Initiative! 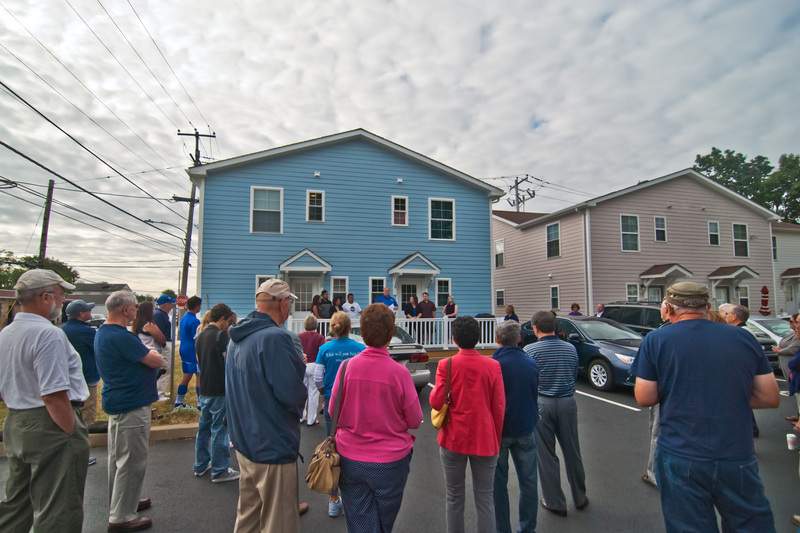 On Saturday, September 17, community supporters, sponsors, and dignitaries alike converged in the East End of West Chester to dedicate the final two Habitat homes in Bolmar Place. 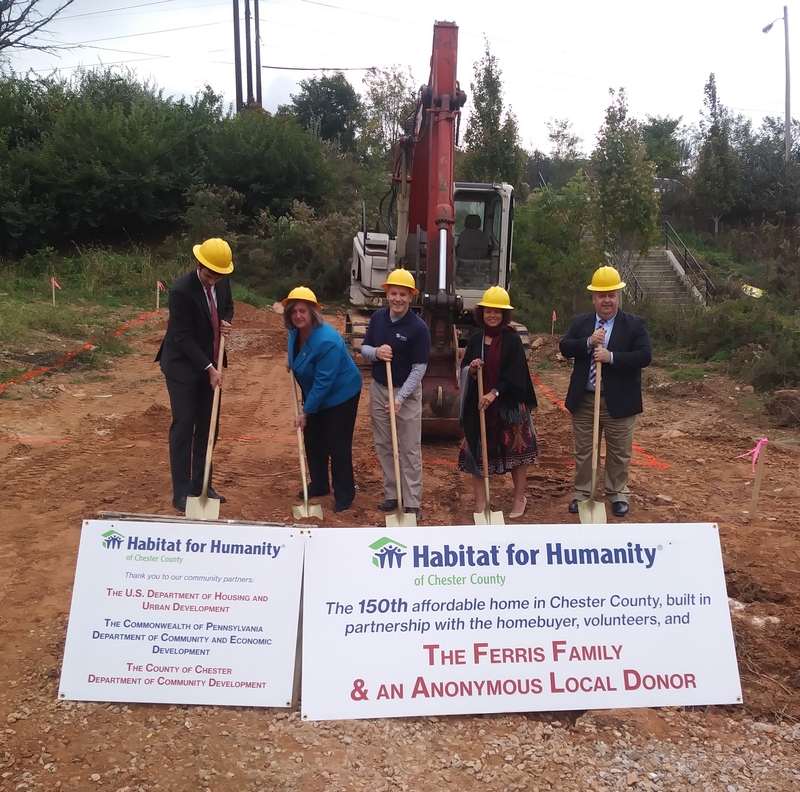 Habitat volunteers broke ground in July 2015 on the final twin of this fourteen home community at what was once the site of the blighted brownfield property. 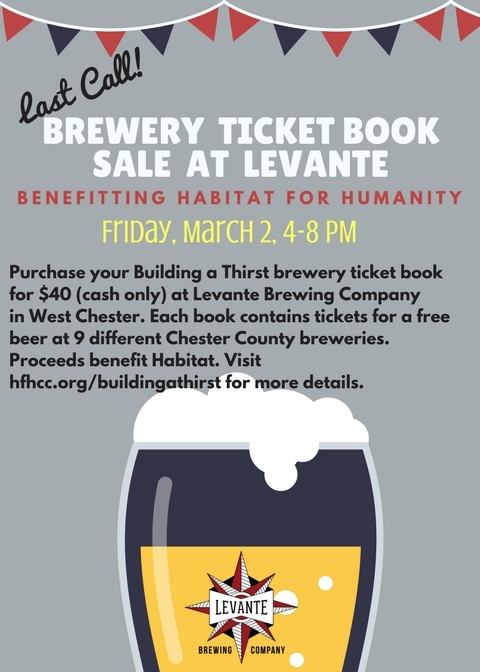 Thanks to sponsors Westminster Presbyterian Church and First Presbyterian Church of West Chester, the funds and volunteers were in place to complete the homes in less than one year! Though this dedication marked the end of the West Chester build, it was a joyous event that included prayer and many insightful speakers, including church volunteers; Chester County Department of Community Development Director, Pat Bokovitz; West Chester Mayor, Carolyn Comitta; and Senator Andy Dinniman. Senator Dinniman reminded the crowd “how blessed we are that God has allowed us to participate in the repair of the world,” but that ultimately, prayer must become action. Later, Mayor Carolyn Comitta presented the homeowners with “keys to the borough.” She said she views the keys as “keys to a healthy future for West Chester,” which these homeowners represent. 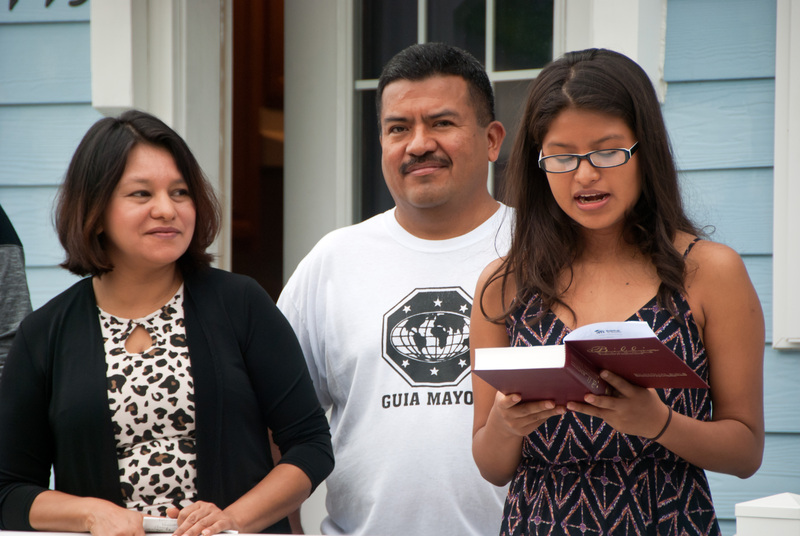 After the ceremony, attendees were welcomed into the homes and treated to a plethora of food and a meet and greet with the new homeowners. We are proud of the work of the entire community throughout this West Chester build and hold a special place in our hearts for these last two homeowners. We wish them and all of our West Chester homeowners much happiness and success in their newly completed community.